On this crazy planet we live on, it can be tough to come up with a game that works as both an educational tool and a fun family game. Foxmind Games, based out of Montreal, brings a line up of titles that are great introductions for the young gamers in your family. The key for family games is the ability to teach a lesson or mechanic that may reoccur in meatier fare down the road. Odd World introduces the ideas of risk vs. reward and also a bit of push-your-luck. In Odd World players are trying to collect planets, but only in odd numbers. When the game ends, any even numbered collections you have won’t score. You’ll only get points for the odd sets in your collection. The planets are the familiar ones you’ve learned from our solar system, nine in total (with Pluto included for good measure). There is a deck of cards that is split into two roughly even piles to start the game. On one side of the cards, two planets are depicted, maybe Venus and Saturn or Neptune and Pluto. The other side of the card has only one of those two planets. On your turn you’re going to select the top card from one of the two piles and either keep it yourself or give it to another player. In either case the player ending up with the card will flip it and add it to a tableau in front of themselves. Here comes the idea of risk reward. 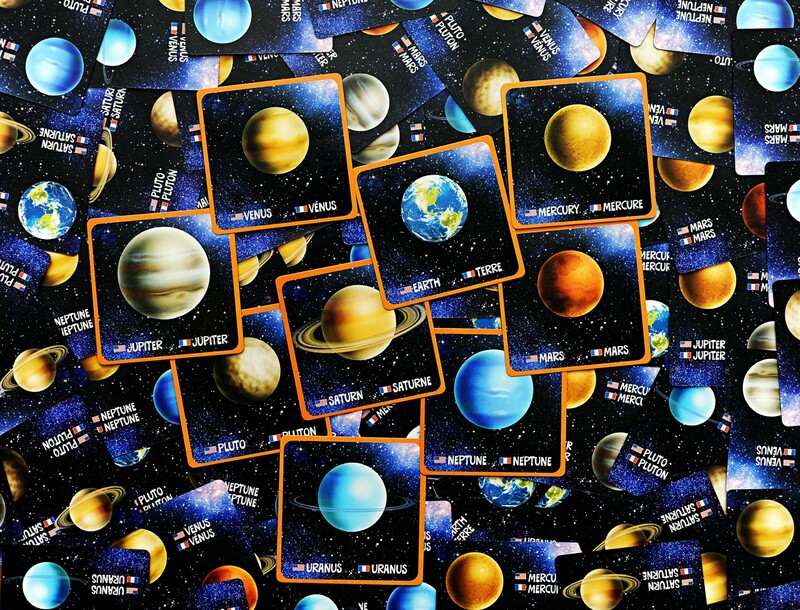 You may really want to keep a card assuming it has, say Earth on the other side of it, but Mars might add a fourth to your set of Mars cards in your tableau, costing you those points, at least temporarily. You can risk it and keep the card, revealing it to see your fortune or you can hand it to another player and hopefully mess up their sets. In that situation finding a player who has odd sets in both Earth and Mars would be ideal. That way, no matter what planet is represented they’re going to be in jeopardy of losing those points. It’s a simple idea, but one that adds a new mechanic to young gamers’ tool belts. 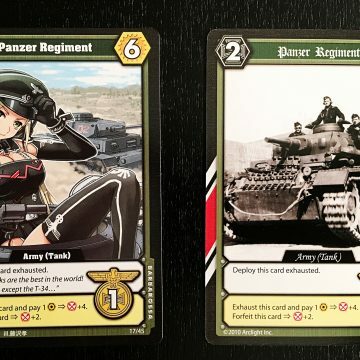 They’ll see this idea come up often in games as they continue to explore the hobby. Odd World ends when either both decks have been exhausted or any player has at least one card from all nine planets. At that point players add up all their odd numbered sets, getting points for each card in the set. It can be a risky, swingy game. You can go from nine points to zero in a set with the flip of a card. Odd World will reward players who keep a good eye on the state of the game and take calculated risks at the right moment. Foxmind has included a helpful planet guide supplement in Odd World that shares some interesting information about the planets. Did you know that Mars orbits the Sun every 686.98 days? Or that Saturn has 62 moons? Crazy, eh? 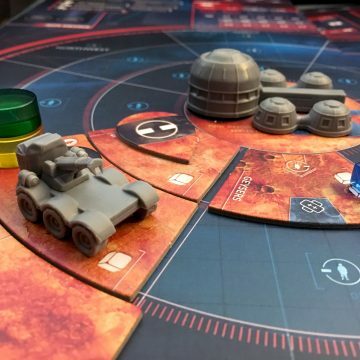 For seasoned gamers there is fun to be had with the take-that concept of handing someone planet that screws up their sets, but Odd World really shines as a simple family game that can act as an appetizer for new gamers getting into this odd hobby of ours. No comments yet! Be the first!